Located on New Zealand's North Island, the Bay of Plenty is one of the top holiday destinations in the country. Benefiting from a mild and pleasant climate, the Bay of Plenty mixes the rugged landscapes with picturesque orchards, farms and beautiful beaches. The city of Tauranga is the largest in the bay and the centre of activity in the area. Also popular are the more laid-back Mount Maunganui and Papamoa. 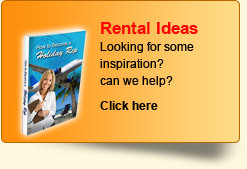 The region offers a range of holiday stay options from luxury villas to backpacker's accommodation. 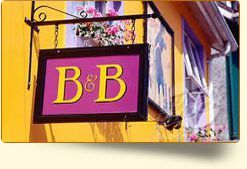 Because the bay attracts visitors for so many different regions, accommodation can go quickly during the high season, so it is best to book and plan ahead to avoid disappointment. The Bay of Plenty features numerous activities with a marine/ocean theme. Surfing is a popular activity in the area, with most flocking to Ocean Beach near Mt. Maunganui. Surfers may also want to head to the town of Te Puke, which is in close proximity to three other excellent surf beaches - Pukehina, Maketu and Papamoa. Many of the beach areas around Mt. Maunganui are more gentle and appeal to families. 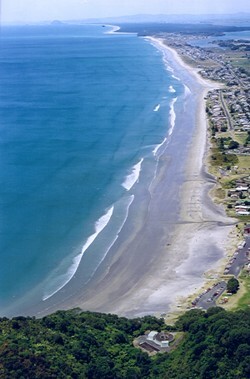 Waihi Beach is by far the most popular beach in the region, with over 9 kilometres of soft white sand. Back in Tauranga, visitors can choose to partake in boat trips to nearby White Island. The area is a haven for snorkeling, fishing and even dolphin watching. Kaimai-Mamaku Forest Park is a hiking and trekking hotspot. Consisting of 45,000 hectares of rugged landscape, native forests and stunning waterfalls, the park is not to be missed. It features hundreds of kilometres of marked trails which include short day walks and multi-day walks. Kaimai-Mamaku is home to enormous Kauri trees, as well as a wide range of other native flora and fauna. Many visitors flock to the park to mountain bike, walk their dog, fish and hunt pigs and goats. Marshalls Animal Park at Tauranga is popular with wildlife lovers, especially with kids as the enclosures have been built with interaction in mind, with opportunities to feed ostriches, Yaks and Texas Longhorn cows. The Bay of Plenty's cultural offerings are just as impressive as its beaches. The towns of Maketu and Paengaroa are excellent spots for those wanting to learn more about the native Māori Culture. A little further down the road in what is known as the Kiwifruit capital of the world, visitors can tour Kiwi Orchards in Te Puke and sample the delectable fruit. Te Puke is also a popular spot for camping, picnics and bushwalks. 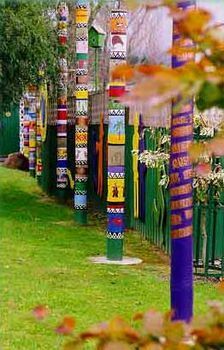 Art-lovers will appreciate KatiKati, known as "Mural Town". Just 20 kilometres from Waihi Beach, the small town features over 40 stunning murals and is famous for its arts district. Along the nearby Uretara River, there is a 2 kilometre stretch of path known as the Haiku Walkway, which is dotted with Haiku poems. In town, there are a number of outdoor sculptures and art exhibits to view. Summers in Te Puke also play host to popular evening concerts, where spectators can expect to hear jazz, classical and other music. Some people consider shopping a cultural activity. The 90 stores under one roof at Bayfair in Mt. Maunganui is enough to keep those who simply must shop, even on holiday, very happy. For a different shopping experience as well as an education, Comvista in Te Puke harvests bees and produces totally natural products. 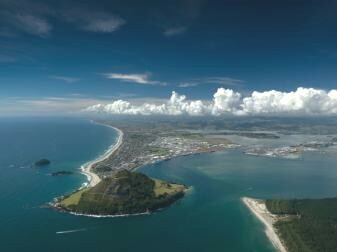 The best way to get to the Bay of Plenty is to head towards Tauranga. Auckland is about 200 kilometres away by car. However, Tauranga also has an airport which receives flights from Auckland, Wellington and Christchurch regularly.